NE facing slope down in the drainage. 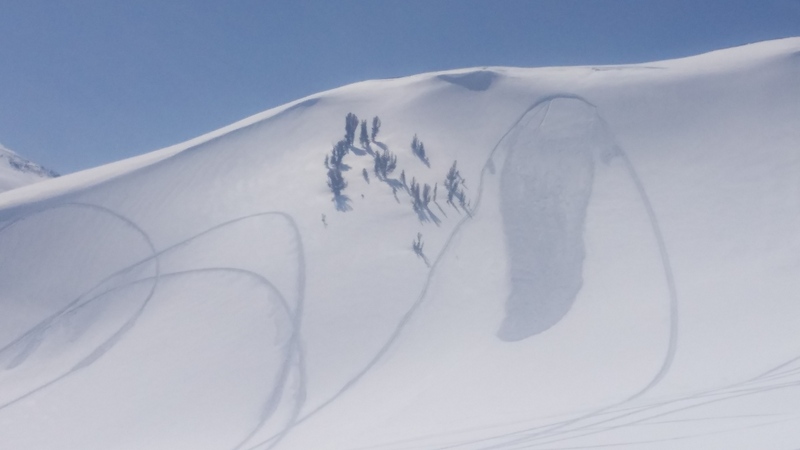 We saw the sled triggerd avalanche among many other highmarks with no reaction. Clear blue skies, temps around 40F, calm SW winds 5-10 mph.